This isn't my car but I guess this is the best place to post this. 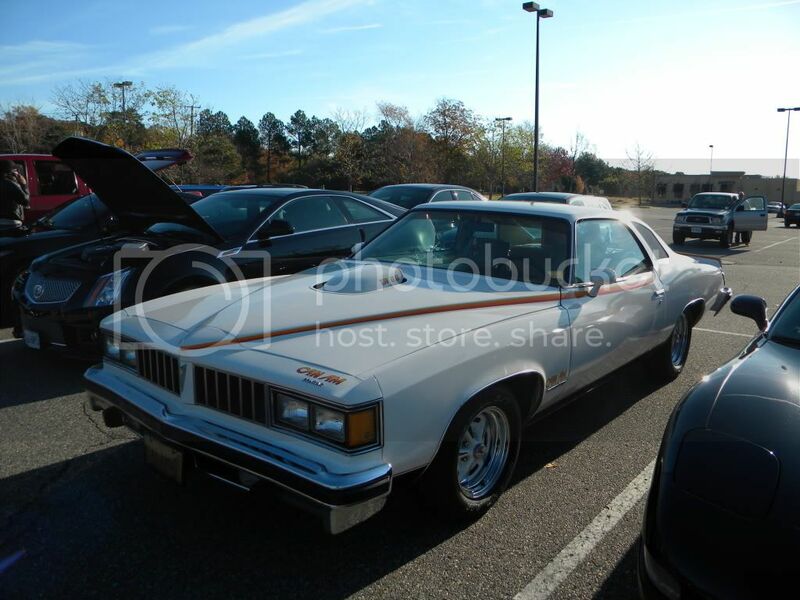 This past weekend I spotted a '77 Pontiac Can Am at my local Cars & Coffee cruise in. It was the only other Pontiac besides mine that showed up this month, usually our C&C is littered with GTO's and a few T/A's & Fiero's. But anyways I didn't realize how special this Can Am was, I just thought it was just another trim package. But come to find out it was a 1977 only package and it's estimated less than 1500 were built! I didn't talk to the owner at the show, but he found his way to the C&C page on facebook. I posted a link to this site so maybe he'll join up! I went looking online and found some info and thought I'd share for those that didn't know. The agreed upon number for how many were built is 1,377. 1500 were supposed to be built but sales were taking away from the Grand Prix and apparently when the fiberglass ducktail/spoiler mold broke Pontiac decided to cut the Can Am. They were powered by the 6.6L T/A motor except for 42 "California" cars that got the Olds 403. All were painted white with yellow/orange striping but interior color options varied and they could be ordered with the snowflake T/A wheels. Yes I did, my dad owns one. It was his first car, bought when he was 16. 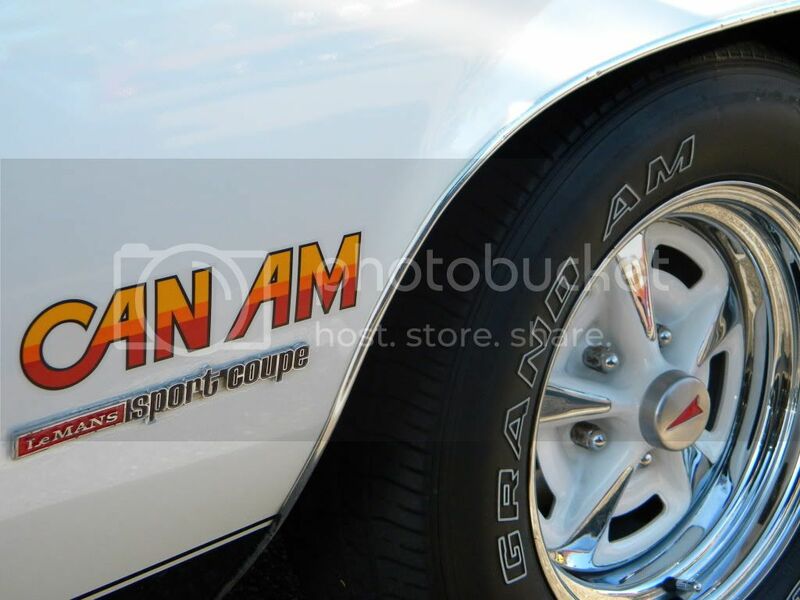 The car was ordered by my grandfather (who as many of you know was Manager of Special Vehicles at Pontiac), and it was one of the first Can Ams produced. (I'm not sure on its exact number but I can find out when I'm home later this week.) The first group of Can Ams were all sitting in a lot together, behind the Pontiac, MI assembly building I believe, which was not far from my dad/grandfather's house. Imagine that; a sea of a couple hundred of these beautiful cars, waiting to be shipped. My grandfather didn't want my dad to wait for his, and so he had someone head out into the lot and pick out my dad's car. I'm pretty sure he had the first one to hit the road. As you can see, he did make some modifications to the car, most noticeably painting the bumpers. The car has aged very well, with basically no rust. (My dad had a winter car, which he still owns; a 1974 Opel Manta.) The underneath and engine bay were undercoated to protect it. Performance-wise, the car is stock. It sounds unbelievable. I looooove the exhaust tips. My dad's philosophy with this car is that it was his first car and it will be his until he dies, so he's going to continue doing with it as he pleases. His goal is to resto-mod it, using period correct parts to make any changes. He especially wants to convert it to manual since Can Ams were only produced with automatics. The interior pieces would have to come from a 1973-74 Grand Am I believe. The stock interior is beautiful, red leather (vinyl?) with woodgrain. I'll have to get some pictures of it. I have so many fond memories of growing up with this car. It's a blast to drive, though it's the size of both my cars put together. If my dad was better at forums and had any sort of free time I would get him on FP. Maybe in the future! Did we have a thread about these or am I just imaging it? lol. yea we have talked about it but I dont think it had its own thread. Such a cool looking classic but I spy with my little eye a CTS V coupe in the background too. Who is your grandfather if I can ask? Is he still alve? 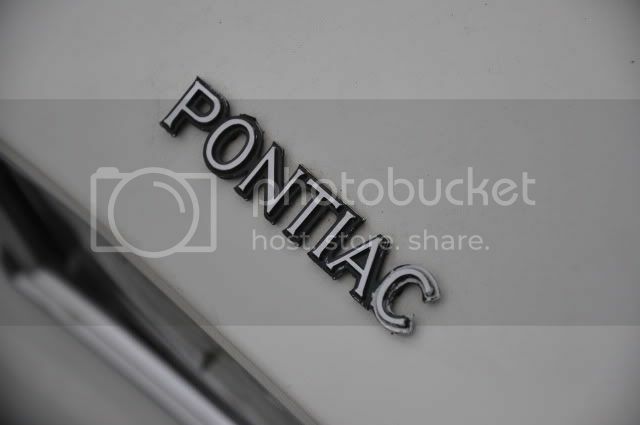 I worked at the old Pontiac complex from 1998 to 2007 (now called Pontiac North by GM and the old Fiero / Pontiac assembly plant is now called Metal Fabrication Div. The old Pontiac HQ & Engineering buildings are now GM Powertrain. I know this complex very well. It is nothing like it was back in the day however. The foundry, engine and power & steam plants are long gone. My grandfather is Tom Goad. He retired around the same time you started. He is still alive; I just saw him yesterday! I remember being at a Pontiac building as a kid when Bobby Hamilton, Kyle Petty, Rusty Wallace and Michael Waltrip were there. 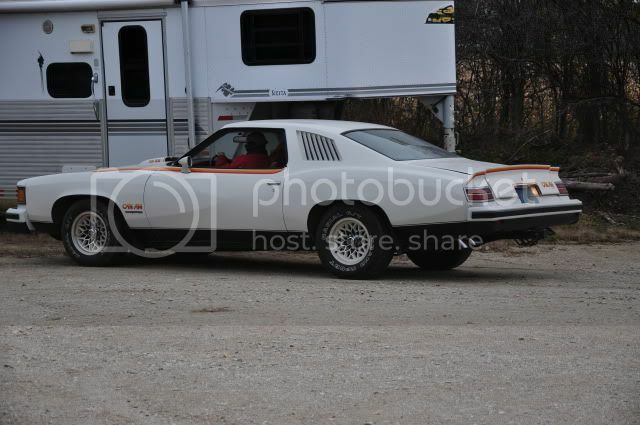 The real story about my dad's Can Am: a sea of white LeMans Sport Coupes with the proper engine and interior to make them a Can Am but without the fin spoiler, shaker hood and striping were sitting in a concrete field behind the Pontiac building. My grandfather wanted my dad to have his car by his birthday so my grandfather found it in the field and had it pulled out and finished. It was one of the first production Can Ams. 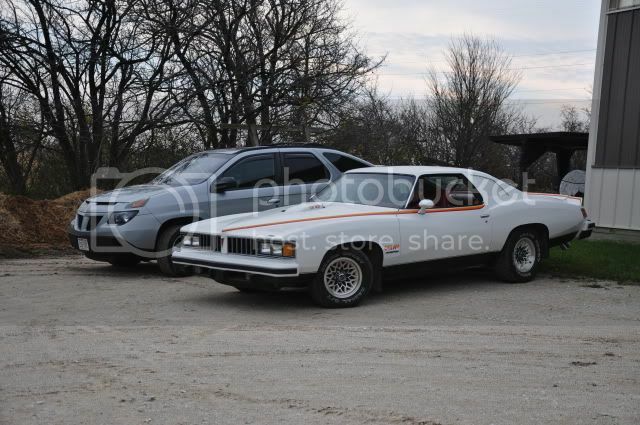 The modifications my dad made to it were to make it look more like the prototype car. Sounds like a cool time you had as a kid with your Dad's Can Am and your grandfather. Ahhhhhhhh, wish I had never sold mine back in about 1990 for $3500....I could shoot myself. I'm thinking aftermarket. They did make some with a sunroof. 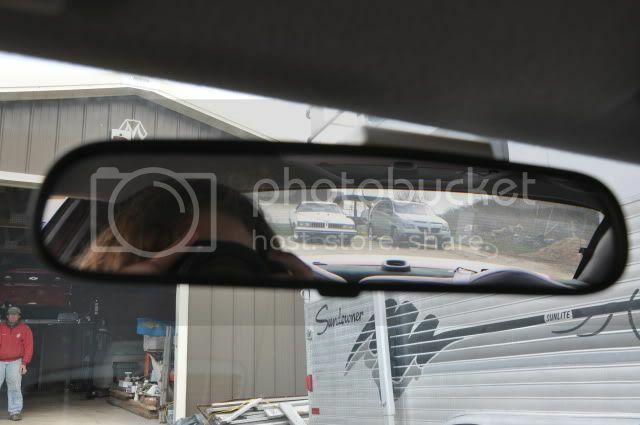 When I had Can Am I found a 4-speed out of a Grand Am in a salvage yard by the Mississippi river and bought all of it, including the metal floor pan on the hump where the trans. came through. I was goning to make mine a 4-speed but I sold the car before I changed it over. I later sold the 4-speed set-up for $125 in about 1990. Say Hello to Your Grand Father for me!!!! I have met him a few times over the years, and he was kind enough to speak at one of our Local Clubs Award banquetes several years ago. 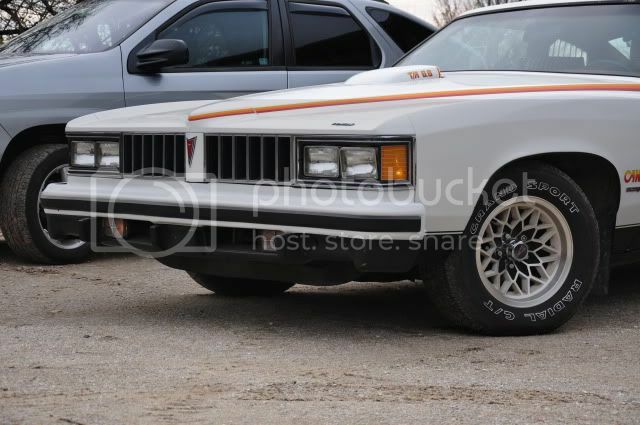 I am the VP of the Royal Pontiac Club and my name is Jeff Reimus. Does he still have the 09 Read G8 GXP and the 73 Grand Am Wagon with the Functional Ram Air System? I am glad to see you are enjoying his cars, alot of young people do not think of asking thier Grand Parents things untill it is to late. Also Interesting to se one of Pontiac's better looking products, parked next to what my be its worst looking product ever produced!